Today I went to the park to see some cherry blossoms here in Osaka, Japan. It was a beautiful day and today, I’ve decided to go back and play some Ghostbusters World. I didn’t create more videos because the game kept crashing on me, but yesterday I’ve decided to reinstall it and it worked. 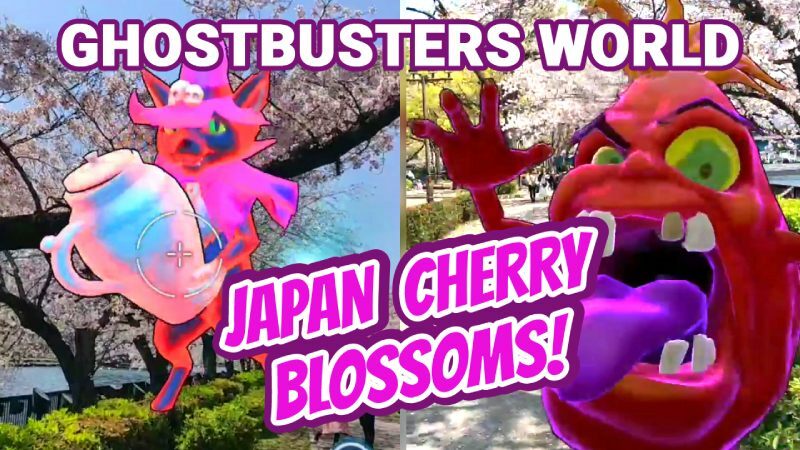 I captured some nice gameplay videos of me fighting ghosts near the lake with some stunning cherry blossoms that are spread all over the canal. Here is the first Ghostbusters World gameplay video that I posted on my YouTube channel, more to come, so stay tuned. I hope you enjoy it. Those beautiful cherry blossoms are here only for a week at their full bloom, so this is why I wanted to capture me playing at that moment so you can see how it is and keep it as a nice memory as well. It also looks amazing with the ghost combat gameplay!